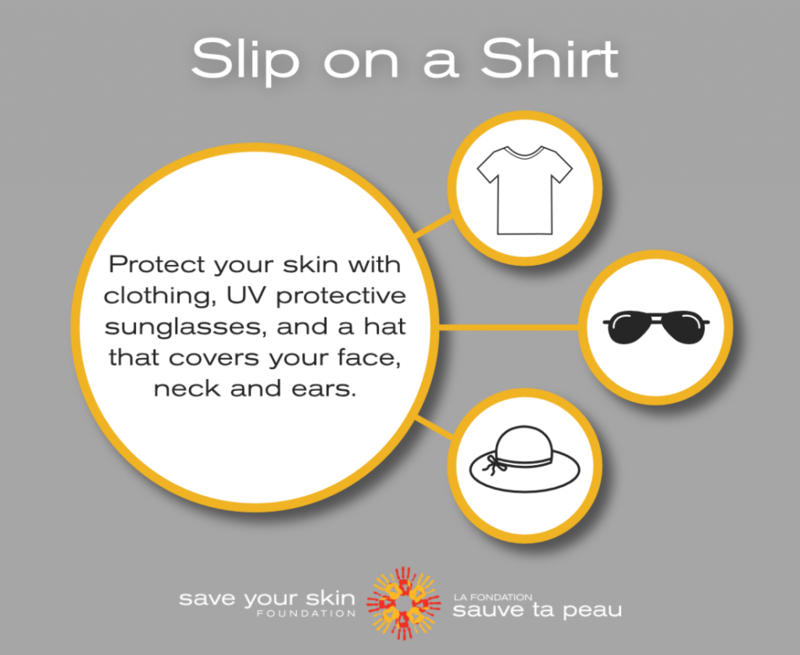 Avoiding skin damage from UV rays is the most important thing we can do. The damage that leads to adult skin cancers starts in childhood and teenage years, as people are likely to receive about 80% of their lifetime sun exposure during the first 18 years of life. No cancer, including melanoma, can ever be prevented with 100% certainty. The good news with melanoma is that the risk factors are well known, so steps can be taken to dramatically reduce your risk of developing this deadly disease. Sun protection training and materials should be provided to staff, encouraging them to practice sun safety both on the job and engaging in outdoor pastimes. These guidelines should be communicated and reinforced to employees through verbal reminders, posters, signs, pamphlets, notice, payroll stuffers, newsletters, and meetings. What does a sunscreen’s “SPF” rating mean? 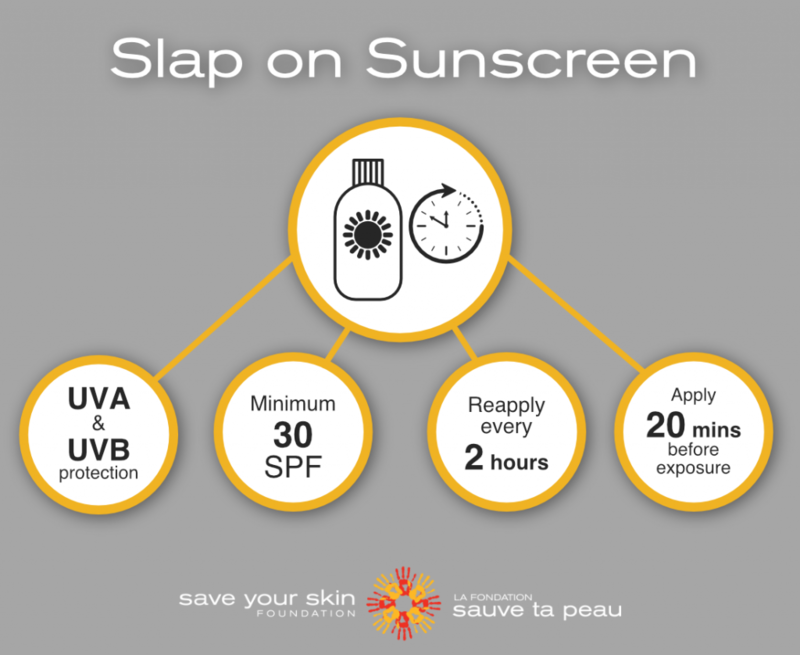 All sunscreens have a sun protection factor (SPF) on their labels. SPF is a measure of the amount of UV radiation that can reach the skin with sunscreen compared with no sunscreen. For example: SPF 15 filters out approximately 93 percent of all incoming UVB rays. SPF 30 keeps out 97 percent and SPF 50 keeps out 98 percent. No sunscreen can block all UV rays. Broad spectrum sunscreen provides protection from both UVB and UVA rays. In Canada, regulations depict sunscreen labeling for broad spectrum; look for labels that use the words “Broad Spectrum” and show an image of UVA with a circle around it +UVB. 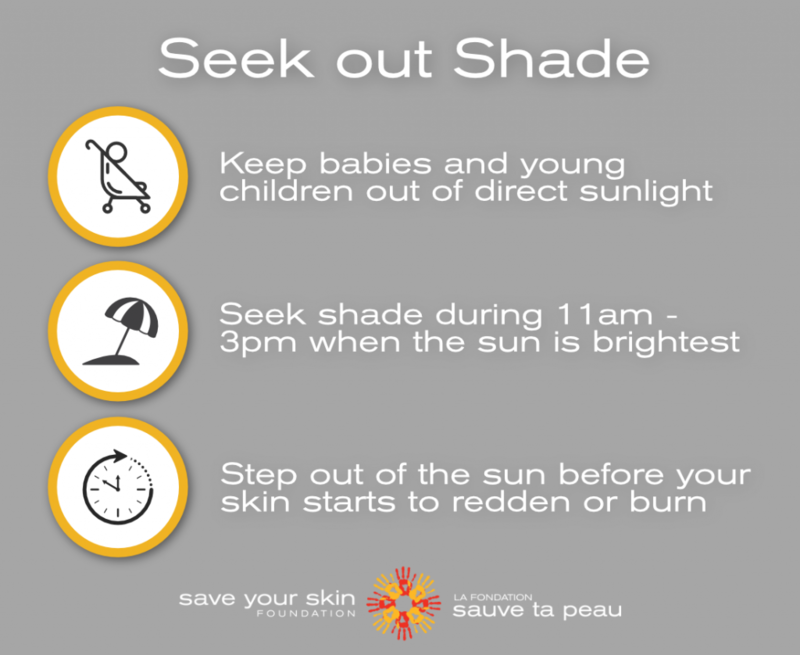 Keeping infants and young children out of the sun as much as possible is very important during the first year of a child’s life. 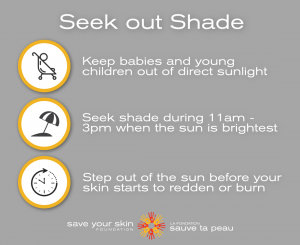 There are links between intermittent and intense sun exposure (resulting in burns) in adolescence and the development of skin cancers later in life (“Canadian Cancer Society’s Advisory Committee on Cancer Statistics (2014).Canadian Cancer Statistics 2014. pp. 87. 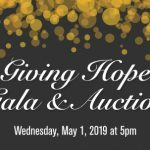 ), and skin cancer is the second most commonly diagnosed cancer in Canadian youth from 15-35 years old (Canadian Skin Cancer Foundation, “About Skin Cancer”). Regular use of sunscreen with an SPF of 15+ during the first 18 years of life can tremendously reduce the risk of skin cancer. However, before the age of three, sunscreen does not provide adequate protection for developing skin and the best protection is to keep sun exposure to a minimum. Even a suntan is harmful to children, as tanning is an outward sign of internal skin damage. Overexposure to ultraviolet radiation can cause sunburns. Mild sunburns can be treated, however severe sunburns require medical attention. Tanning beds and sun lamps release UV rays that can cause sunburns, damage skin and increase the risk of skin cancer. People at tanning salons may tell you their lights are safe, but the fact is their lights may give from 10 to 15 times as much UVA as the sun. 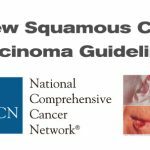 Many studies have demonstrated that the risk of developing cutaneous melanoma can increase up to 75% when tanning devices are used before the age of 35. While sunlight has health benefits, it is important to take precautions to protect ourselves from potentially harmful UV rays. During the Winter and Spring months, it is important to protect yourself while pursuing snow sports, such as skiing, snowboarding, or snowshoeing. The sun’s reflection off of snow can increase the amount of UV radiation you receive by up to 85%. 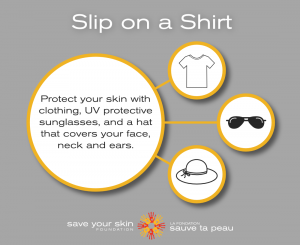 Wearing sunscreen and sunglasses will help protect exposed areas. It is recommended that you take the same precautions during Summer water sports. 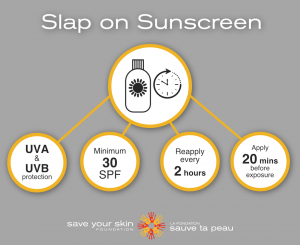 An SPF30 is the minimum protection recommended, and sunscreen should be applied twenty minutes before heading outdoors to allow for activation time. Remember to reapply every two hours, or after swimming or perspiring. When you are unsure of the UV strength on a particular day, it is useful to consult the UV index. 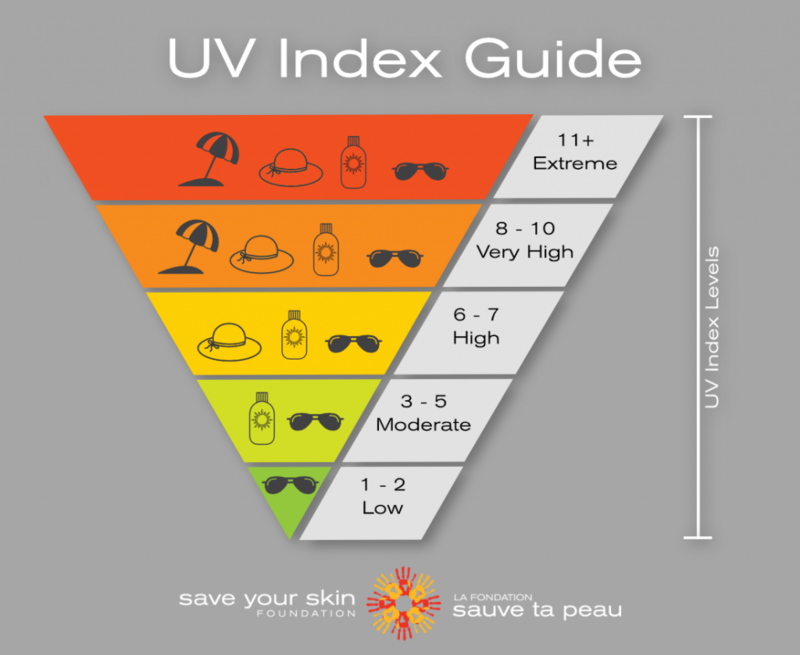 The UV index is a simplified measurement system for the sun’s damaging rays and a guideline to protection. These are available online and as phone apps. 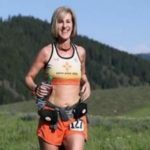 0-2 – Low Risk – minimal sun protection required (unless near water or snow). Wear sunglasses if bright. 3-5 – Moderate Risk – take precautions – wear sunscreen, sunhat, sunglasses, seek shade during peak hours of 11 am to 4 pm. 6-7 – High Risk – wear sun protective clothing, sunscreen, and seek shade. 8-10 – Avoid the sun – seek shade – wear sun protective clothing, sun screen & sunglasses. White sand increases UV radiation exposure. 11 + – Take full precautions. Unprotected skin can burn in minutes. Avoid the sun between 11 am and 4 pm, wear sunscreens & sun protective clothing. Sunglasses help to protect your eyes from the sun’s ultraviolet radiation and bright light. Because UV rays carry more energy and are invisible, the eye is at greater risk of damage from UV rays. UVA and UVB rays can cause or speed up several diseases of the eye or its supporting structures and because they occur over a long time, they may happen surreptitiously and are irreversible. During water or snow exposure, it is important to block out blue light. Medium to dark sunglass lenses with a grey, green, or brown tint will block out most blue light. Intensive daily exposure, such as outdoor work, requires a higher level of protection from sunglasses. There are many sunscreens on the market, but the most effective ones contain both UVA and UVB protection, known as broad spectrum protection. Chemical filters: work by absorbing, scattering and reflecting UV radiation. These chemical filters are absorbed by the skin and work from within. This is why they must be applied 15-20 minutes before going in the sun – to give the filters time to be absorbed into your skin so that they can do their job. You will find a wide array of UVB filters used among sunscreen manufacturers, but there are fewer UVA filters available. Physical filters: work by absorbing, scattering and reflecting UV radiation. Physical filters remain on the surface of the skin and are not absorbed. Physical filters are comprised of Zinc Oxide or Titanium Dioxide. Outdoor workers have a higher risk of skin cancer than those in any other field of work. This is due to the fact that work often takes place between 10-4 where the sun rays are at the strongest. In addition, much of the work done happens in the spring and summer months where UV radiation is higher as well. Therefore, it is important that outdoor workers take precautions to protecting their skin and being safe. Reflective surfaces, such as water and glass can direct additional UV rays toward people. Although Canada is not often thought as a sunny country, the reality is that many Canadian cities experience heat waves during the summer months. During heat waves, high temperatures close to 40 degrees can be reached, which can be dangerous for your health (causing illnesses like heat stroke, and even death). You need to be very careful and follow some steps to protect yourself. For heat safety tips click here. It is very important to check your skin regularly in order to detect any abnormalities. Make sure to look under your shoulders, your nails, your neck, your ears and your head. If you detect any changes or any moles that are asymmetrical or have irregular borders, uneven colours, or a larger diameter than 6mm, you need to report it to your doctor as soon as possible. These could be signs of skin cancer. Using a mirror in a well lit room, check the front of your body -face, neck, shoulders, arms, chest, abdomen, thighs and lower legs. Finally, check your feet – the tops, soles, toenails, toes and spaces in between. Canadian Dermatology Association, patient handout “Melanoma Skin Cancer: Know the Signs, Save a Life” 2009. More information about moles and self-examinations.